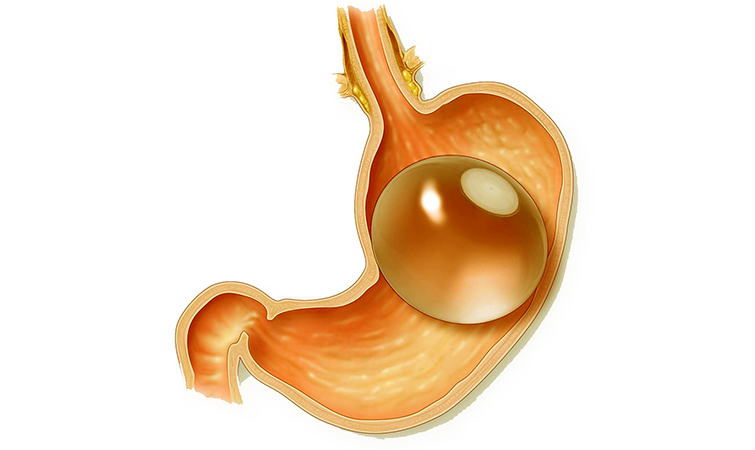 Intragastric fluid-filled balloon or BioEnterics Intragastriline Balloon (BIB) is an endoscopic treatment method of obesity. It helps people to lose weight in conjunction with diet and physical exercise. A soft silicone balloon is inserted into the stomach with an endoscope and an empty balloon will be filled with sterile fluid. When the balloon is full, it’s too large to move away from the stomach into the small intestine. Therefore the balloon is floating freely in the lumen of the stomach and fills it partly, causing a feeling of satiety in the patient. This treatment method can be considered non-surgical and non-medicinal, and its main advantage is a very small risk of complications. A gastric balloon can be used as an individualweight reduction method, or before the surgical procedures in order to reduce the operation risks. In extreme cases of obesity, bariatric operations cannot be performed technically without previous weight reduction. In order to achieve better results, a gastric balloon can be used several times with small intervals.